One afternoon I made tacos out of iceberg lettuce, and I thought, "this is good but I wonder how I can make this less messy and more delicious". The answer, my friends, is swiss chard. ENJOY and alter the recipe contents as needed! 1. Prepare the walnut spread. Mix all the ingredients with in a blender. Voila. Complete. 2. Begin rice preparation. Add 4 cups os water to 2 cups of rice. Bring a pot to a boil, then turn on low and let simmer for 20 minutes with a lid. 4. Drizzle olive oil in cast iron skillet, enough to coat the bottom of the pan. Cut tofu in ten thin slices and put in cast iron skillet. Put in oven for 10 minutes. Flip tofu and put back in oven for 10 minutes. 5. Double boil steam collard greens for 3 minutes and then lay our flat. 7. Lay out one collard leaf at a time. Place all ingredients towards the stem side of the leaf. Roll up, tucking the sides in as you do to keep the wraps firm. 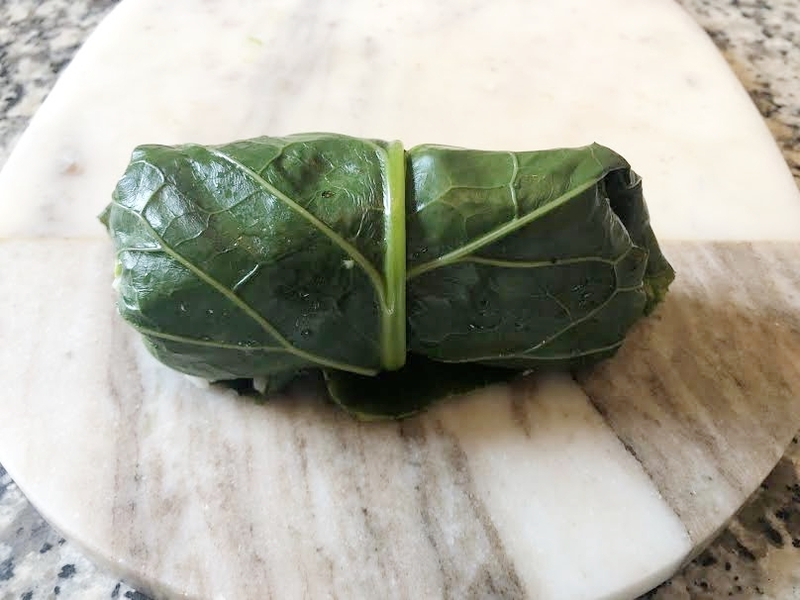 TIP: if you feel the wrap is unsupported, use some of the smaller chard leaves to double wrap in.